Over the remainder of the year it’s going to be increasingly more difficult to acquire HD DVD movies apparently. 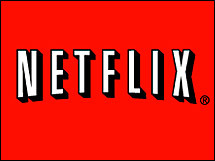 The leading online movie rental company, Netflix Inc., has announced they will phase out HD DVD by the end of the year. You already can’t rent HD DVD in most Blockbuster stores, so by next year it seems Blockbuster Online will be the only place to rent HD DVDs, that is unless they also follow suit. The ironic thing is many HD DVD fanatics called on a boycott of Blockbuster after they announced they would exclusively rent Blu-ray Discs in their stores last year. Netflix states that a majority of subscribers that have selected high-def rentals have chosen Blu-ray over HD DVD. No numbers were provided. The plan is to only purchase Blu-ray Discs from here on out and to phase out the current stock of HD DVD. They did not mention if they would sell the stock off or how they plan on this. This is really just another sign showing the obvious, HD DVD’s days are numbered. As I said before, there is no war anymore and the HD DVD holdouts are simply insurgents. This isn’t fanboy, this isn’t because I’m dedicated to any format, this is because it’s clear as day that the war is over.